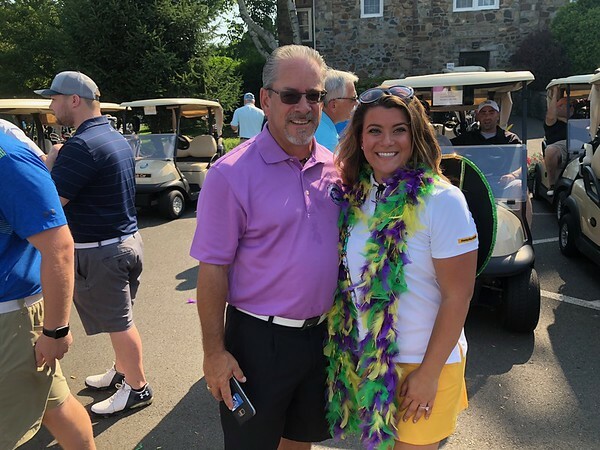 NEW BRITAIN - Last month, golfers converged on Stanley Golf Course to raise money for various community organizations in the city. 240 golfers and more than 20 volunteers helped raise more than $30,000 during the 11th Mayor’s Trophy Charitable Golf Tournament on July 27. The tournament had 44 sponsors and sold out several weeks in advance, according to city officials. The Mayor’s Trophy Charitable Fund was started in 2007 by Timothy Stewart, the city’s 38th mayor. 100 percent of all tournament proceeds go towards this fund, which is maintained by the Community Foundation of Greater New Britain. Since its inception, the Mayor’s Trophy Charitable Fund has raised and distributed $300,000 to organizations that benefit the youth and families of New Britain. Some recent recipients of the fund include: the YWCA’s House of Teens program, the New Britain High School Scholarship Fund, the New Britain High School Parent Music Association, the New Britain Junior Hurricanes Youth Football and Cheerleading, the ParaDym Academy after-school program, the New Britain Police Athletic League and the Little Poland Festival. For more information about the Mayor’s Trophy Charitable Fund, call 860-826-3303. Posted in New Britain Herald, New Britain on Friday, 10 August 2018 19:34. Updated: Friday, 10 August 2018 19:36.